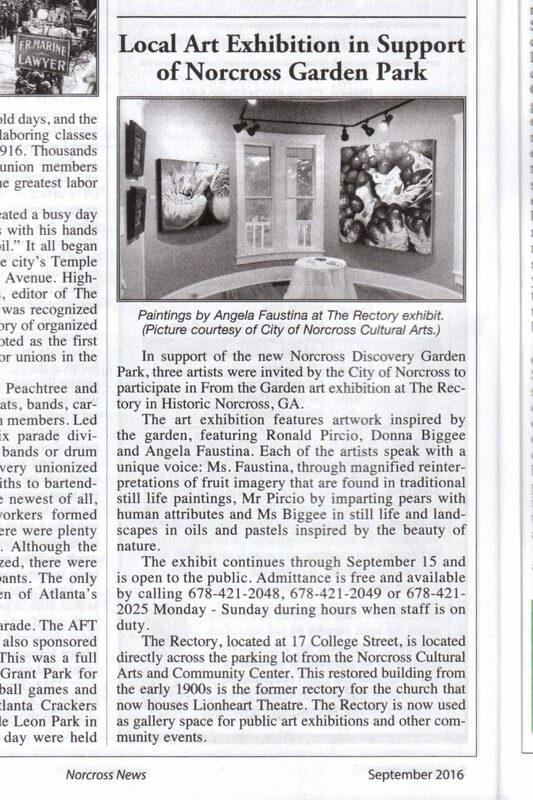 In support of the new Norcross Discovery Garden Park, I was invited by the City of Norcross to participate in From the Garden art exhibition at The Rectory in Norcross, GA. Come celebrate and see my artwork in person at the opening reception on Friday, August 12, 2016 from 6:00-8:00pm. Admission is free and live music and light refreshments will be offered. If you can’t make the opening, the show will be on view through September 15. The From the Garden art exhibition features artwork inspired by the garden, featuring Ronald Pircio, Donna Biggee and Angela Faustina. Each of the artists speak with a unique voice: Ms. Faustina, through magnified reinterpretations of fruit imagery that are found in traditional still life paintings, Mr Pircio by imparting pears with human attributes and Ms Biggee in still life and landscapes in oils and pastels inspired by the beauty of nature. I am very excited to meet more of the Greater Atlanta arts community. I’m proud of my new paintings and am excited to share them as well as old favorites. The exhibit continues through September 15 and is open to the public. Admittance is free and available by calling 678-421-2048, 678-421-2049 or 678-421-2025 Monday – Sunday during hours when staff is on duty. You can also contact me to schedule a private tour of the art exhibit. The Rectory, located at 17 College Street, is located directly across the parking lot from the Norcross Cultural Arts and Community Center. This restored building from the early 1900s is the former rectory for the church that now houses Lionheart Theatre. 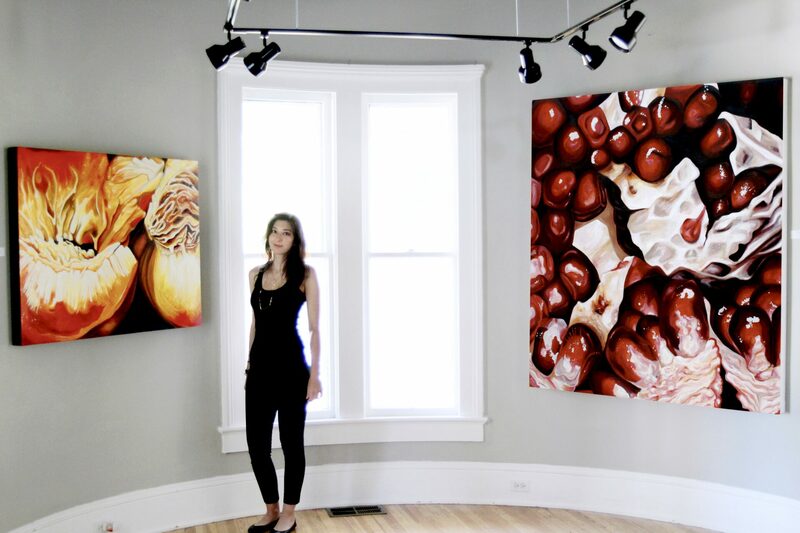 The Rectory is now used as gallery space for public art exhibitions and other community events.